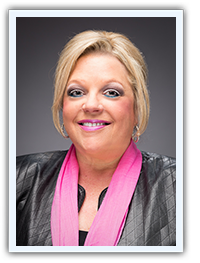 Saundra Holland is an active Realtor® with Regal Realtors, a full service real estate firm based in Rockwall, Texas. She has lived in Rockwall her entire life. Mrs. Holland is a seasoned real estate agent specializing in Rockwall homes and has been actively involved in the Lake Ray Hubbard community for over twenty years. Mrs. Holland specializes in the listings and sale of residential and commercial property in the Lake Ray Hubbard area. Mrs. Holland specializes in helping buyers, sellers, and renters of all price ranges in the Rockwall area. This dedicated service has enabled her to build a solid book of business and referral base. Mrs. Holland considers her past clients to be one of the most crucial parts of her success in Real Estate. Mrs. Holland caters to the needs of her clients by emphasizing the beauty and uniqueness of the homes and neighborhoods in Rockwall coupled with her vast array of knowledge of the product.